A small cozy town was not waiting for the outbreak of bugs! You just wanted to eat a piece of cake. And berries. Ice also wouldn’t hurt either. And chips – well, how many of those chips? And a few of sweets! You’ll have to wander the forests and fields, seas and mountains, until you will clean up the whole district from these creatures! Because nobody, except you and your friends, will be able to cook their goose. 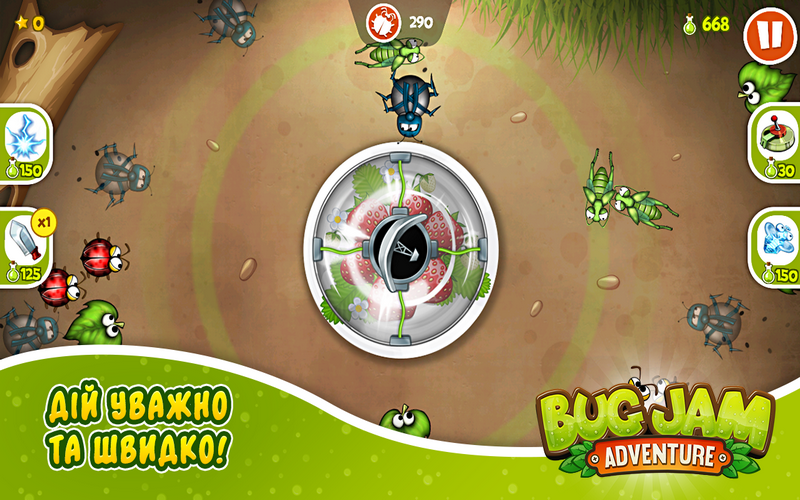 Employ your own strategy, collect bug juice and buy a weapon against bugs. Frog or freezing, Machete or Napalm – don’t limit yourself! The winner must be one! 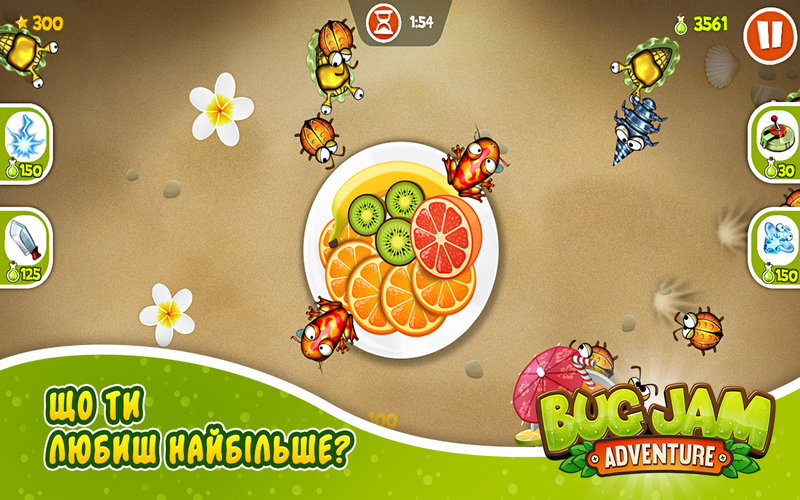 More than a dozen of resources against bugs! You can freeze, burn, crushing, cutting – choose what you want! At the end of each part – Boss. And keep in mind, to cook his goose is not easy! Gameplay drag out and 30 different achievements induce to run the game again! In-game guide detailing descriptions of different kindsof bugs and resources against them.